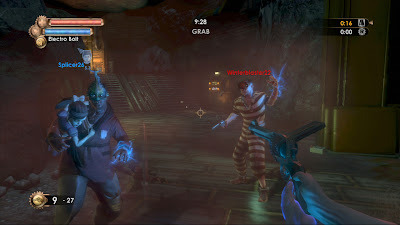 In 2K's most recent media blast, we got word that Bioshock 2 fans will be getting a DLC pack including both single and multiplayer additions sometime in the month of March. Sinclair Solutions Test Pack will carry a price tag of 400 Microsoft Points or $4.99 for the PlayStation Network, and includes the following. *Some items are only available after a player achieves a rank of 41 or higher. That's not all, we can expect a number of DLC packs in the upcoming months to extend the single player experience along with new tools and challenges adding to the fiction and lore of the oh so great Rapture.